Provenance: Sotheby's New York, 4 June 1986, lot 38. The Collection of Robert H. Ellsworth, New York. Notes: A larger ink stone of similar shape (23.5 cm.) 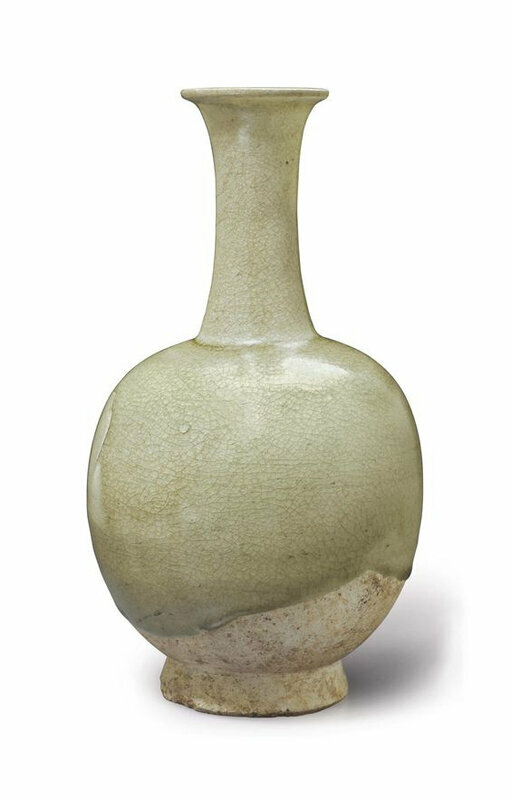 described as stoneware and partially covered with a transparent glaze of very pale green color, which is dated Sui-early Tang, is illustrated by G. Tsang and H. Moss in the exhibition catalogue, Arts of the Scholar's Studio, Hong Kong, 1986, pp. 220-21, no. 202. See, also, two other similar examples, illustrated by Zhang Bai in Complete Collection of Ceramic Art Unearthed in China, Beijing, 2008, one larger (28.2 cm.) 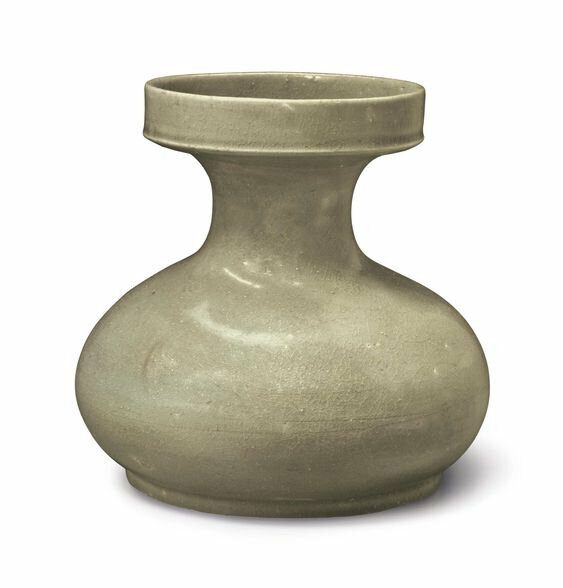 dated Sui dynasty, from Hebei province, vol. 3, no. 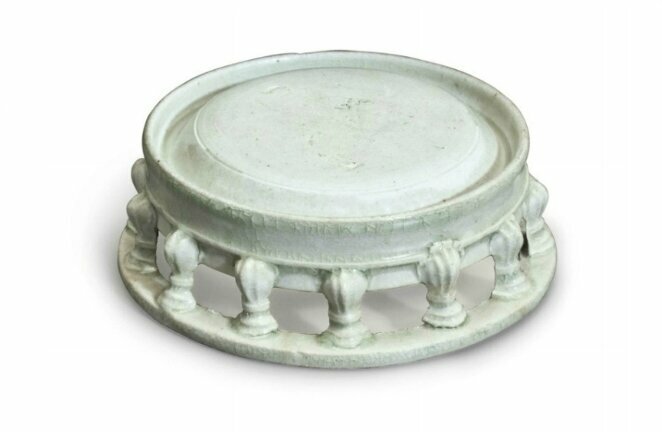 27, where it is called white-glazed, but where the transparent glaze appears to have a greenish tint, the other, also called white-glazed, of more comparable size, 12.8 cm., dated Tang dynasty, from Hubei province, vol. 13, no. 62. Christie's. THE COLLECTION OF ROBERT HATFIELD ELLSWORTH PART IV - CHINESE WORKS OF ART: METALWORK, SCULPTURE AND EARLY CERAMICS, 20 March 2015, New York, Rockefeller Plaza.